The moment Sam Lavender reached the top of his first climbing wall, he was hooked. 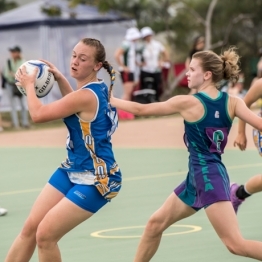 That was three-and-a-half years ago and now the 15-year-old is getting set to head to the QLD State Boulder Titles this weekend. 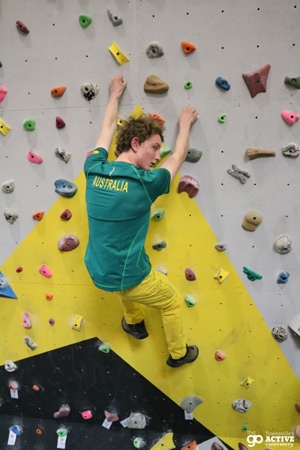 But it won’t be the first time he has competed, with Sam taking out the national title last year, but he’ll be joined by a young contingent of climbers from Hot Rock Adventure Centre who are all keen to have fun and do their home town proud. 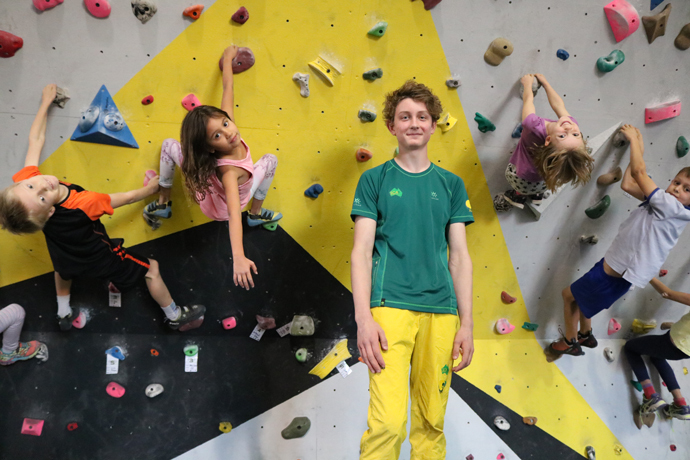 “There’s something about getting to the top that’s so satisfying; it’s about the process — it’s you against the rock wall, or the problem,” Sam tells, who did his first competition two years ago socially, then ramped it up in 2015 trying his hand at both the state and national lead climbing (roped climbing higher then 9m as fast as you can to the top climbing hold) and bouldering comps (unroped climbing to 4m completing all specified moves without falling off). 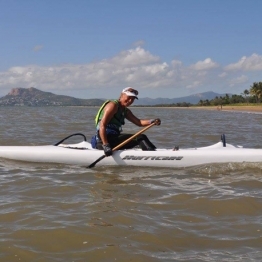 This year he’s looking to retain his title, which will involve clocking up points at a number of state comps in the lead-up to October’s nationals. 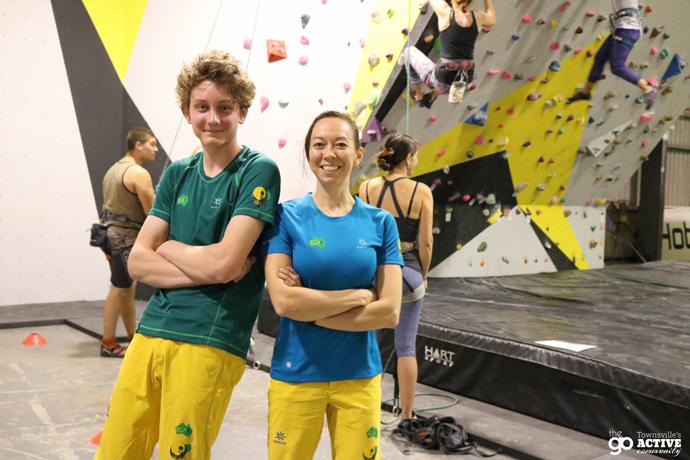 Sam with respected climbing coach Kim Kamo. 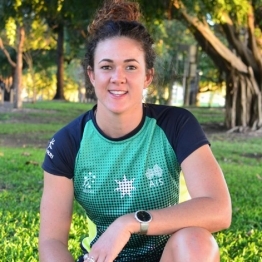 After the state and national competitions this year, Sam will go to China for the Worlds in November; with the Olympics in 2020 not out of the question now that the International Olympic Committee (IOC) has added climbing to the Tokyo program. 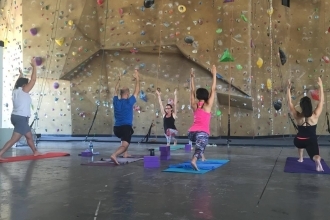 But before then, Sam just wants to enjoy each event and do the best he can: “Climbing is such a supportive sport — even at the competition level, if you beat a boulder or nail a move that no-one else has, then everyone is shouting encouragement,” he says. 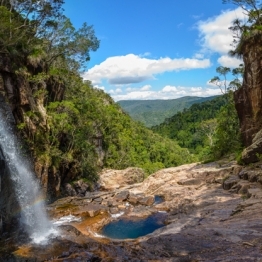 For this weekend’s state competition; Sam will be joined by five younger children from Hot Rock Adventure Centre — a dedicated climbing facility in Aitkenvale. 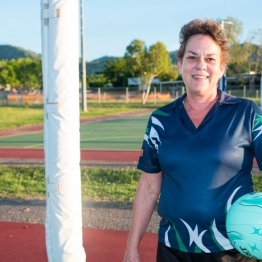 The youngest competitor is just seven years old — Coco Bella MacNee — plus Phoebe Lavender, Eliza-Grace Bester and Natasha Welham will also travel to Brisbane. The youngest child in Hot Rock’s junior ‘Rock Monkeys’ program is five, with Kim saying that the activity has proved popular with little ones as it’s super fun, but also enhances a skill that many kids are already drawn to. 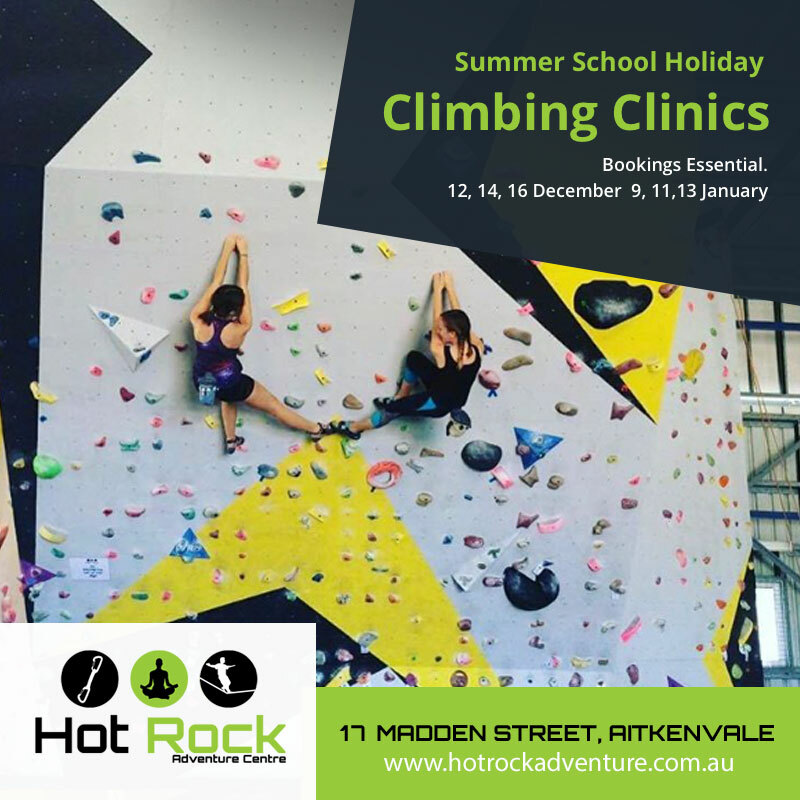 Hot Rock Adventure Centre offers classes and coaching for climbers of all levels — from athletes to total beginners. 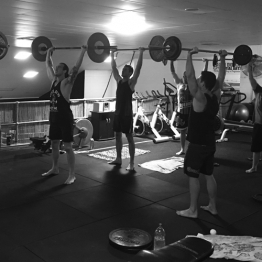 Visit the website to find out how you can get involved and discover what courses are coming up.